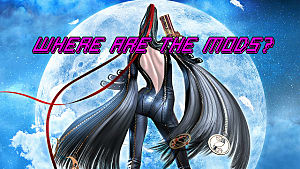 SEGA really is getting the last laugh on some folks, because even after the news of Bayonetta’s port to PC has been broken, folks are still booting up 8-Bit Bayonetta in hopes of nabbing all the same achievements that initially revealed the teaser countdown website last week. I mean, who could blame you? The game is kind of charming despite how dumb and pandering it actually is; you can’t help but have some fun out the elaborate goof right? 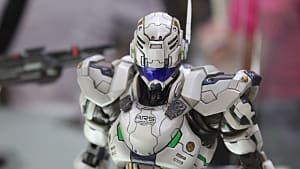 Imagine if this was a mobile game that you were plugging away when you were bored on the toilet, and wanted some fast-paced 2D action; bet you’re starting to feel a lot less guilty about it now. Let’s not be so critical of the dumb flash-game that was used as a cheap marketing ploy for a slightly underwhelming announcement -- we can still enjoy it. 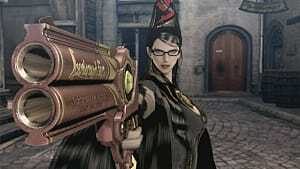 And if you’re up for more than just enjoying Platinum’s pixelated take of the gun-toting witch, then you’re in luck, because here’s some surefire tips to get you all sixteen achievements in 8-Bit Bayonetta. OK Y’all, ready for this super dope pro-tip for the very first achievement on the list? Yeah? Alright, listen up; do, nothing… I repeat, do, absolutely, nothing. After that, you’ll see the ‘cheevo pop-up, and feel an immense sense of accomplishment for your efforts. This achievement goes hand-in-hand with the one before it; just make sure to tap the spacebar to hop back into the 8-bit fight. Honestly, you’ll most likely activate the conditions of this achievement too when you get the “Zero” achievement, considering that you didn’t screw up the intricate steps involved with that objective that is. If you thought the first two achievements were hard, then this one will really leave your head spinning because you’ll have to JUMP to your doom instead of willingly accepting the sweet release of death like before. 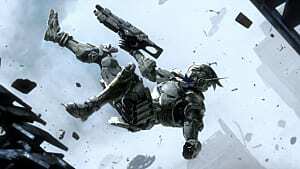 Just to make extra sure that you get this one, keep all gunfire on the ground to keep the land angels at bay long enough for the airborne enemies to strike you. Another achievement that’s easy pickings, you’ll be recognized for this feat the moment you put your very first axe-wielding angel down for a dirt nap. 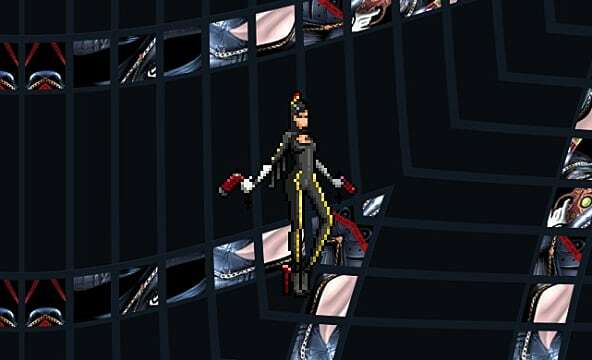 This one is pretty Self-explanatory, but there’s one key detail about the “combat” in 8-Bit Bayonetta that’s never clarified at all, and that’s the fact that there are two different fire actions mapped to different keys, allowing you to distinctively fire both of her guns at a time. Just mash away at the two keys as much as you can, and you’ll land this achievement in no time. If you stick with the steps involved with getting “Unlimited Ammo” then it’s only a matter of time before you’ll earn this one for your troubles. Another easy one to nab, this one will naturally appear after a couple of rounds on the game, just keep jumping again in mid-air and Steam will pop the achievement up for you in no time flat. This one is actually trickier than it sounds because double-jumping at any point will disqualify that leap from the count, and some of the flying angels will reign death from above at heights that are outside of the apex of your normal jump. The trick here is just being patient, and sticking to the jumps as long as you can survive within each round, the 30th hop will grant you the prize of “Bouncy” on your achievement list. The skill involved with grabbing this achievement isn’t as daunting as the description makes it sound out to be. 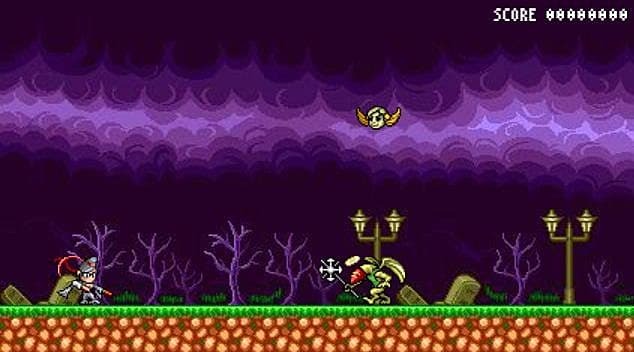 The tactic is clear out all of the flying angels while mobs of land angels press their attack on. When you’ve got about 3-4 of them at far left of the screen where their axes preparing to swing at you, start timing your jumps to evade as many ax attacks as you can until the achievement awards you for your efforts. No real strategy here, just plenty of patience and some good reflexes will net you 5,000 on the scoreboard before the round will end, it’s as simple as that. Easily the most cryptic award on the list, the key to getting the achievement here is to make sure that you lob just enough gunfire earn exactly 5700 points, then making sure that you die to end the round as soon as possible. If done right, the achievement will crop up on the bottom right-hand corner of the screen. 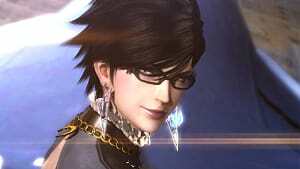 Many of you might be wondering what the significance the number 5700 holds to Bayonetta -- I’m wondering the same thing, so if you think you have a clue as to why this number is the one that they chose for the achievement, then feel free to comment what you know below! Just so it’s clear, this achievement will only unlock when you literally land on a number that between 8,000 and 13,000 for your score, so that means getting settling at those bench marks (getting exactly 8,000 or 13,00) just won’t count. Once you die with score that satisfies the necessary range then the achievement will be yours. The tips to win the achievement here is the very similar to the ones I outlined for the “Bonus” achievement; only with a lot more patience required, as this is most definitely the hardest of the bunch to collect. Just stay diligent with your jumps and shots, and with enough skill, you’ll be able to claim this achievement for the win. Again, this one is more of a waiting game, but if knowing exactly how many you need to take down to get the achievement will make the wait any easier, than you’ll be happy to know that the magic number 1,000 angels -- happy shooting! It’s weird that I would save this one for last considering how easy it is, but it’s definitely the most annoying one that you’ll deal with earning too. 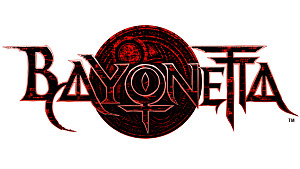 The secret to grabbing this last achievement is to shut down 8-Bit Bayonetta, and reopen it 5 times, which I can imagine might be annoying for any of your Steam friends that might be online while you’re doing this one but hey, if they knew the reason behind all the spammed launches then I think they’d understand. 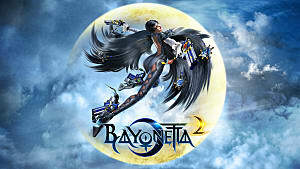 There you have it, you have now earned all sixteen achievements of 8-Bit Bayonetta, are you proud of yourself? 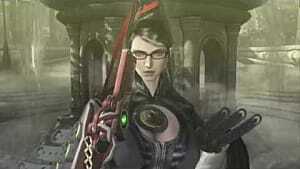 Because you should be, now go play the real Bayonetta on Steam and try your luck hunting those achievements.